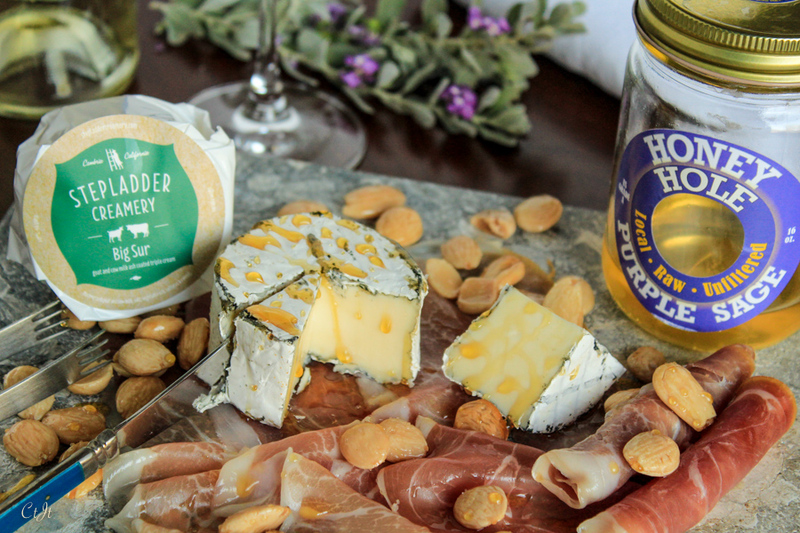 This cheese is simply lovely on a cheese board, drizzled with sweet honey and served alongside Marcona almonds and salty prosciutto. Enjoy! Directions: Lay out half of the prosciutto on a serving tray, overlapping a little. Roll the remaining pieces; set aside. Cut a wedge out of the Big Sur and set the pieces on the prosciutto. Sprinkle the cheese and prosciutto with **almonds, add the rolled prosciutto to the tray and drizzle the entire dish with a couple tablespoons honey. **If desired, toss the marcona almonds with an infused Sigona’s Olive Oil and a pinch of salt. Add more flavor to this simple salad by using our any of our infused olive oils or balsamics. Goat cheese pairs well with savory herbs, such as basil or oregano, and would even be delightful with our lavender balsamic. The choice is yours! Directions: To individual serving plates or bowls, add a generous handful of greens. 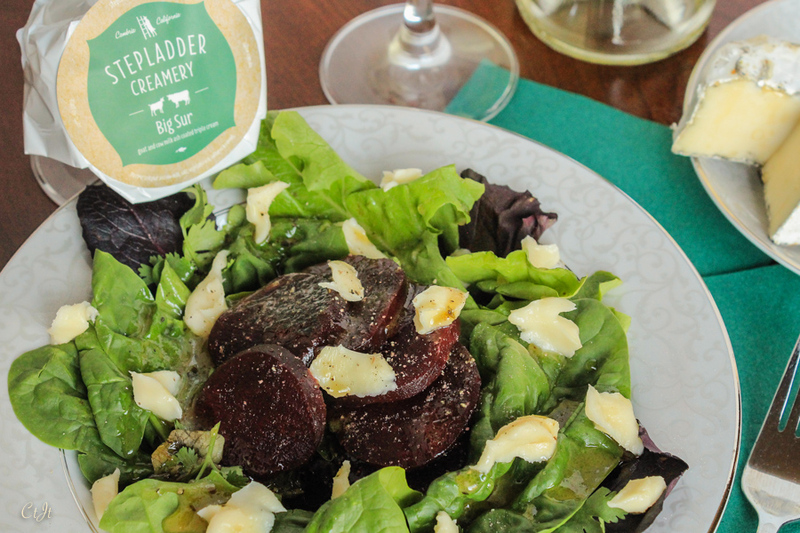 Top the greens with one sliced beet and then sprinkle on the cheese. Season with black pepper and dress lightly – just a couple teaspoons to start — with the vinaigrette: serve remaining vinaigrette on the side. Vinaigrette: Add all ingredients together in a jar with a lid. Shake until the mixture is emulsified (thickened) and ingredients are well incorporated. To use remaining vinaigrette, toss with steamed or roasted vegetables or even drizzle over fresh fish or chicken. It’s also fantastic on sandwiches. **To roast a beet: Preheat oven to 400°F. Scrub the beets and then trim off the root and stalk ends. Save the greens for another purpose, such as salad or garnish. Wrap each beet individually in foil and place on a baking sheet. Roast the beets for 40 to 60 minutes or until they can be easily pierced through the center with a fork. Remove the beets from the oven and allow to cool to the touch. Remove from foil and rub off the skin. They’re now ready for use.